The Westfield Sydney City redevelopment is located in the heart of the Sydney CBD, and is bound by Pitt Street, Castlereagh Street and Market Street. 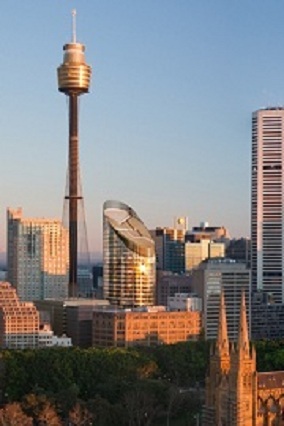 The redevelopment consist of a new office tower at 85 Castlereagh Street, redevelopment of the existing 100 Market Street building and extensive changes to the Imperial Arcade, Skygarden and Centrepoint Convention Centre. 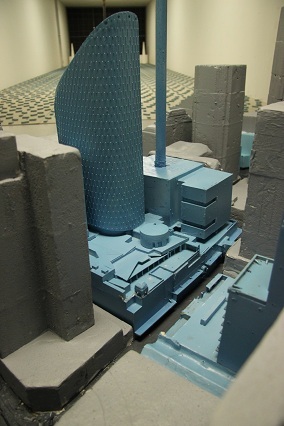 Detailed wind tunnel testing was carried out to accurately measure the new office building’s facade design pressures. The use of wind tunnel testing resulted in results which were significantly less than the code’s estimate, particularly along the vertical edges. This is largely attributable to the aerodynamic form of this tower and the rigorous analysis techniques adopted as part of the study. Furthermore, a Structural Loads/ Building Motion study was undertaken to determine the wind loads on the structural framing of the tower. A Pedestrian Wind Environment Study was carried out to ensure wind conditions within and around the development were suitable for the intended uses by patrons and pedestrians, in particular Pitt Street Mall and the entry locations to the shopping centre, with input provided as to the placement of the high-level awning features around the site. Pollution dispersion modelling of the various mechanical services was undertaken to ensure there was not any re-circulation of the exhaust air to outdoor areas and intake locations of the development.